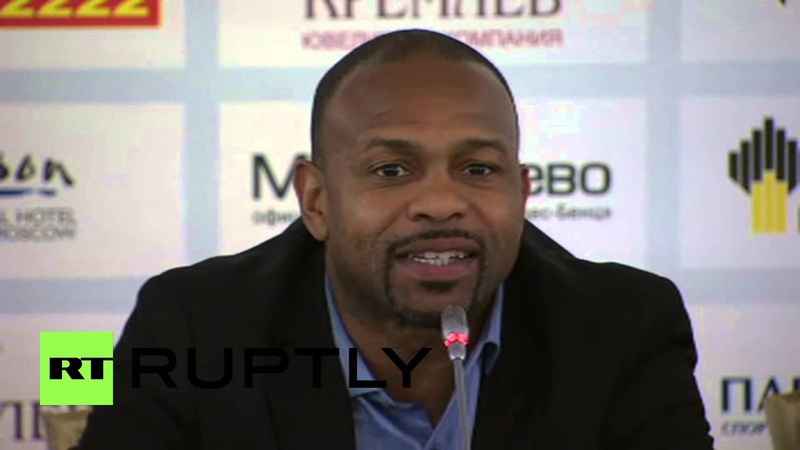 In another bizarre turn to his Hall of Fame career, boxing great Roy Jones Jr has officially become a Russian citizen. The four-division champion from Florida, widely regarded as one of the greatest fighters in history, was presented his new passport in a ceremony on Tuesday at the Federal Migration Service’s offices in Moscow. “I am Russian,” Jones, 46, said after Tuesday’s ceremony. “Thank you, Vladimir Putin. I’m really glad to have become a Russian citizen. Jones, 46, will be promoting and training fighters in Russia.